Hard to believe that this tiny light can be so bright. 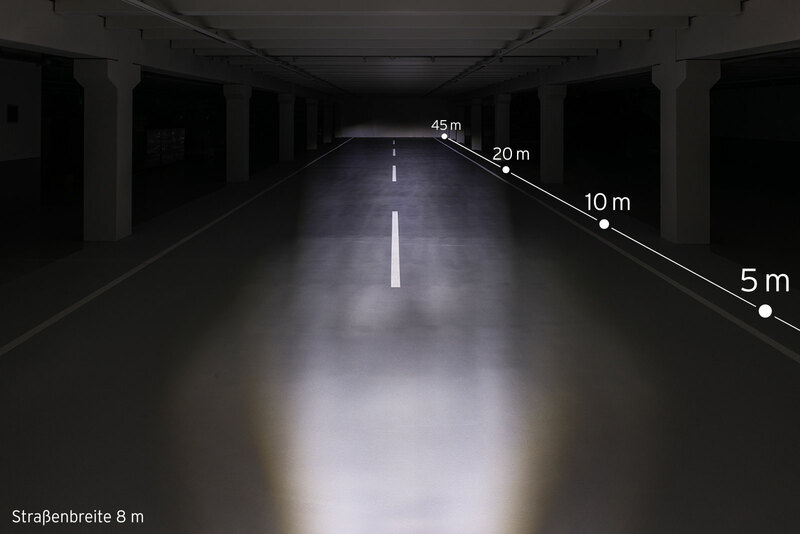 The IQ2 - Optics of this light, combined with a high power LED, provide a respectable 50 lux output with an impressively even beam on the roadway. Very good close range light is the icing on the cake. Not suitable for Dynamo supply. Not approved for vehicles requiring registration plates. The light has no on/off switch. Switching only possible though the on board console of the E-bike. Alternatively "always on"